Wendy and I met through mutual friends in 2012. Wendy is a Retail Manager, Rebecca is a Project Manager at a charity, and we live in Horsforth, Leeds. The Proposal – Wendy had been extremely excited about an upcoming weekend away we had planned, saying how special it was going to be (she had the proposal planned), but then was unable to wait any longer, and did an impromptu and extremely unexpected one, one Saturday in April 2015. There were rose petals on the floor, our favourite song playing, and her down on one knee! This was followed by chilled champagne and lots of late night excited phone calls to family and friends. 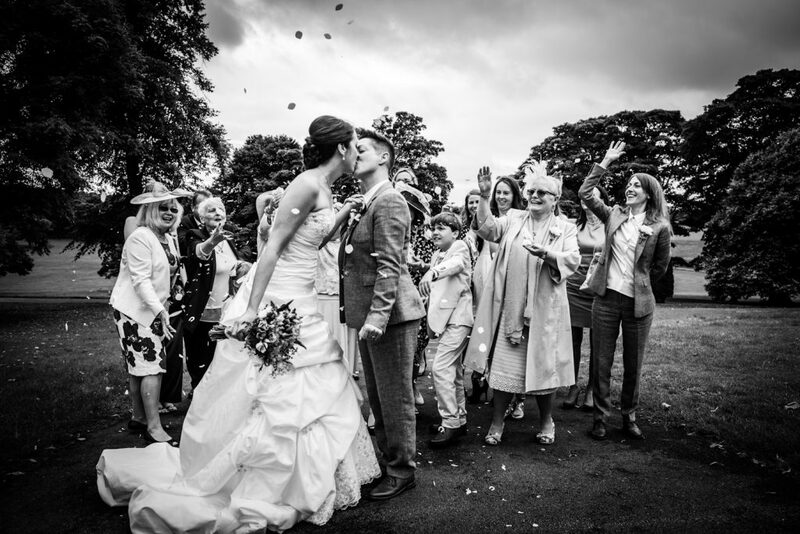 The Dress – Rebecca’s dress was a vintage inspired lace detailed one with a long train, and Wendy and her sister (Best Woman, Jennifer Birch), wore matching grey suits from Reiss. The Ceremony – Was conducted by a Registrar at The Mansion. 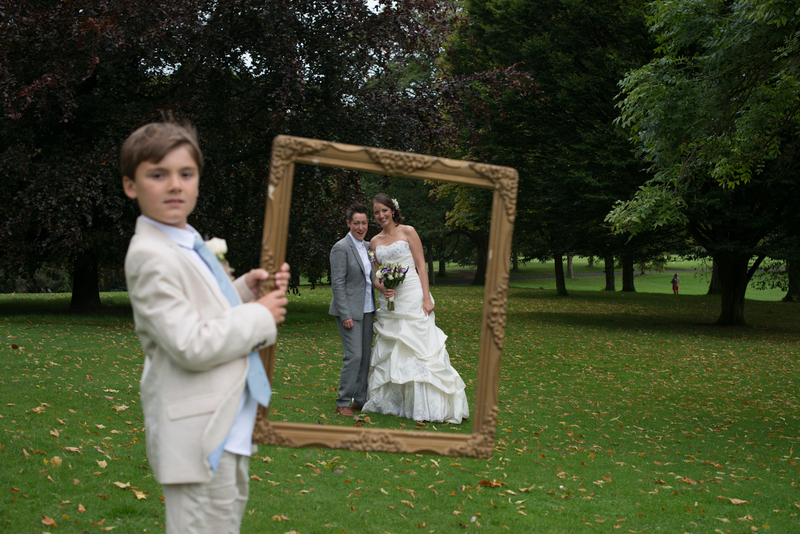 Rebecca’s son, Milo, was the ring bearer and did a beautiful job of leading the way down the aisle! Signing the Register as Mrs & Mrs! 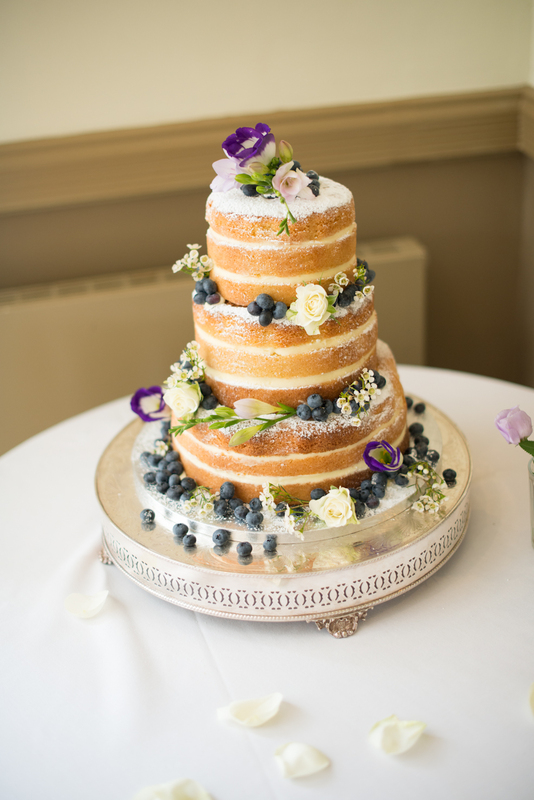 The Cake – was a sugar dusted, three tiered “naked cake”, covered with fresh fruit and flowers from the bouquet. The flowers, cake and table decorations were all done by Dulcie Butterfly and the photography by Nathan Swinson, Dulcie’s husband. Our Hair – Was done by Jenny Gadd, make up by Sharon Hart. We went to the Lake District for our honeymoon, spending 3 nights at The Gilpin Hotel on a luxury Mini Moon experience, then 2 nights in Ambleside, walking, shopping and relaxing. 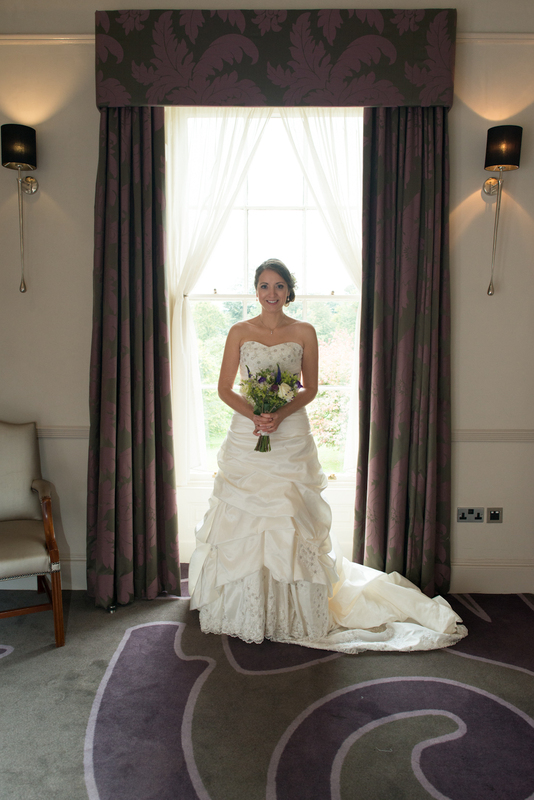 Favourite Moments – The most memorable part for me was throwing the bouquet! It caused much excitement (amongst adults and children! ), and later controversy when one guest accused another of “wrestling it” from her! All in good humour, and some great pics to accompany. 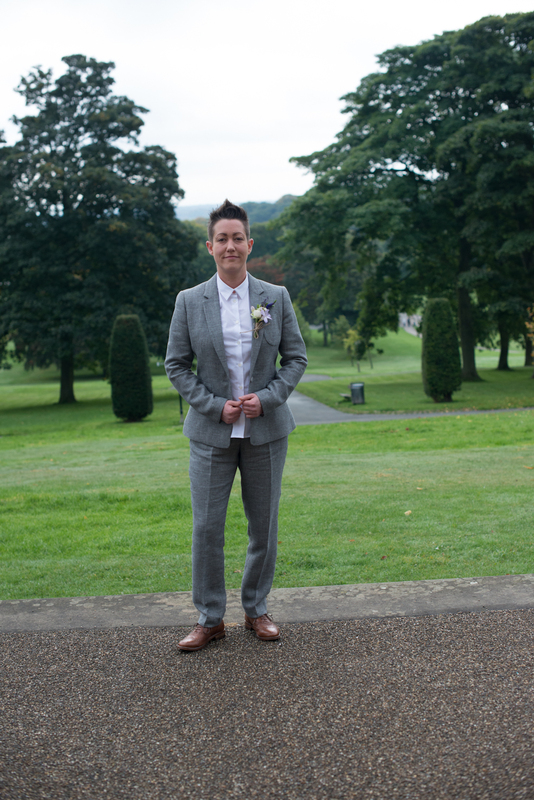 Seeing my little boy stood in a suit for the first time was also a big moment. We loved the whole experience with Dine. Lewis was fantastic from beginning to end, I cannot rate him enough. 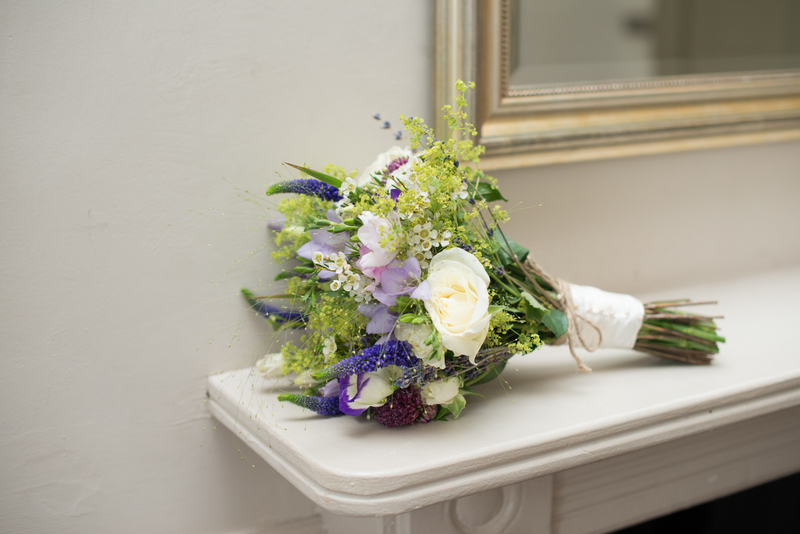 The planning, the detail, the fact he was always on hand, even when bombarded with nervous emails as the big day approached, he showed huge patience and attention to detail from the start. 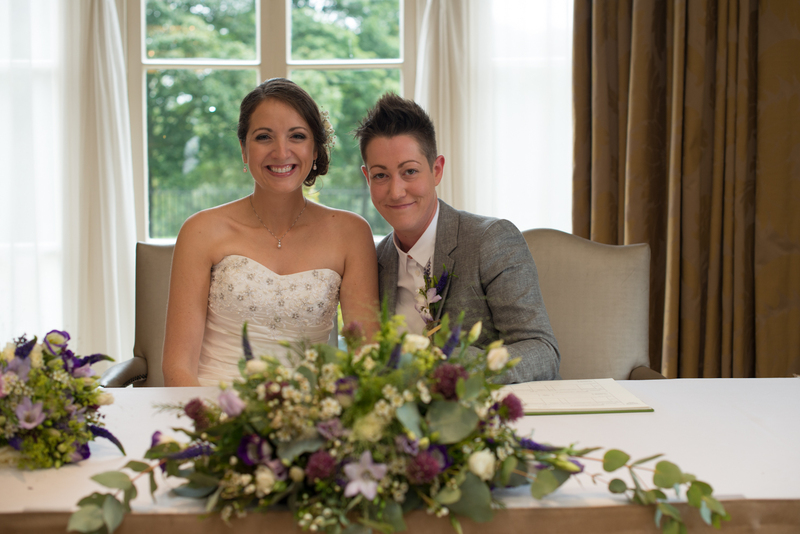 The staff on the day were also fantastic – Katie stood with me whilst I was waiting to go down the stairs before the ceremony, and completely calmed me down. She was so friendly and relaxed, it made all the difference as I was stood waiting to go to make my entrance! The food was outstanding, all the guests commented on the taste, the presentation, and how it was served so professionally, table by table. Dine managed to get the right balance of a very smoothly run event with a very relaxed family occasion. Not once did it feel too formal, and yet we knew that everything had been meticulously planned, and was running to a relatively tight schedule. Wendy and I were on a high all day. We had the most amazing, happy day, and literally all of our guests have said the same. It was the best day, and we can’t thank you enough for giving us these wonderful memories.